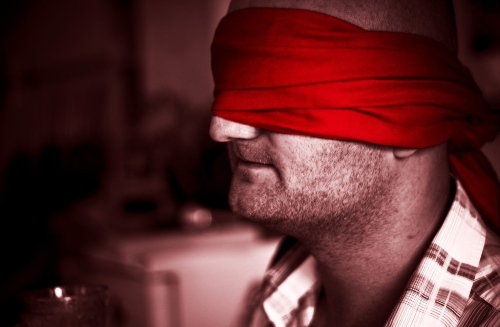 Intuition may be a word that is overused, sometimes when trying to sell a skill. However, it is a valid form of learning and clinical practice. While Evidence-Based Medicine (EBM) works to eradicate intuitive thought in favor of standardized care, it devalues the complexity of life and uniqueness of each individual—both patient and clinician. This is not to discredit EBM, for it does add insight and motivate discourse for learning. But I hope that clinicians, and patients alike, work to preserve the intuitive process. Granted, there are more than a few clinicians who will state intuition as their highest credential without justification. Possibly because they have few credentials besides diplomas. Nonetheless, intuition is a valuable trait, and there are many who have it. While here I write of intuition mostly in the context of Chinese medicine, the principle of its development is universal and can be applied to your daily life. Intuition is the unconscious recognition of nonverbal cues. It can be instinctual but also comes from practical experience. It is the basis for the transmission of skills through apprenticeship. 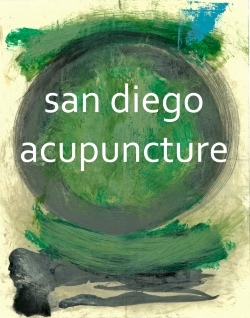 An example of the intuitive process is the clinicians’ feeling of the radial pulse—one of the signature diagnostic methods of acupuncture and Chinese medicine. There are many characteristics associated with blood flow through the radial artery, each indicating either a physiological or pathophysiological condition. Several of these characteristics can reveal themselves at different locations within a 1 ½-inch span of the artery, making pulse diagnosis a highly nuanced practice. “The wiry and tight pulses are both taut and tight but the tight pulse is tight like a twisted rope while the wiry pulse is tight and straight” [Li Shi Zhen 85] Classical Chinese writing did not use punctuation. But I posit they would have embraced emoticons, unlike me. You can now realize the limitation of words and the need for nonverbal elucidation. But before I get nonverbal, I will try to add some additional prose to that classical description. These are helpful visualizations, yet different from the real feel of a pulse. This is because a real pulse also has breath (Qi). While it literally does carry oxygen, by breath I mean that the pulse is imbued with vital spirit (or a lacking thereof). This spirit is what informs the intuition. The information gleaned feels like spirit because it is beyond the range of our five senses. However, it is within the range of our subconscious. Our subconscious is also tied to our five senses, but it processes what our conscious minds filter out. Our conscious minds need to filter much, because—contrary to popular belief—we cannot multitask. We definitely cannot multi-process the breadth of stimuli hitting our senses every second by using rational thought. Our unconscious minds work at a rapid pace—much faster than our rational minds that rely on linear thought. Combinations of the above variables, related to any individual, are potentially infinite. Yet they are open to almost split-second processing by the unconscious mind in order to put the radial pulse characteristics into context. The value that comes from processing the sample of nonverbal cues above does not lend well to the absolute standardization of healthcare. While a high level of standardization is required to ensure competency and safety, intuition remains an essential component of quality care. Employ general—not specific—observation, as if your eyes are glazed. Don’t focus on anything. Close your discriminating eye and get out of the way of your subconscious. Be silent. Stop the inner dialogue. Turn off the analytical, rational mind (an exercise called “no mind,” in Zen) to let your subconscious process nonverbal cues. For awareness broadens immensely when we are not focused on the foregone conclusions our minds typically draw. For more on intuitive clarity, you may also like my Spirit Herb post; and as it further applies to acupuncture practice, “Old Chinese Doctor” and Quality Healthcare. Li, Shizhen, and G.M. Seifert. Pulse Diagnosis. Brookline, MA: Paradigm Publications, 1985. Print.